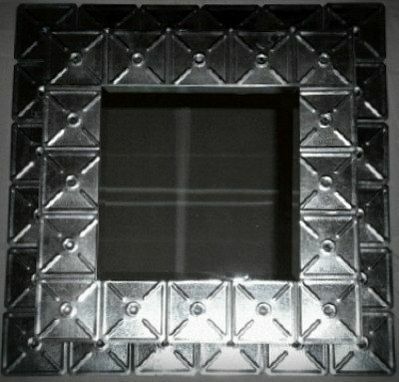 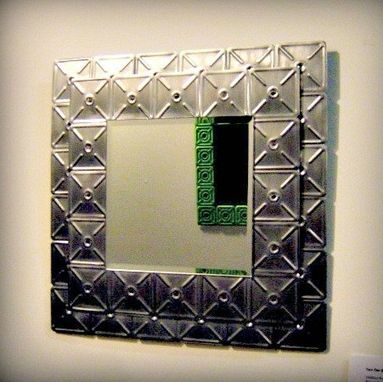 Beautiful, Recycled Metal Hex-Plate Mirror has a beveled edge for an elegant facade. The two tier design has a top tier that floats just 1/4" above the first, giving it a sleek, dimensional look. 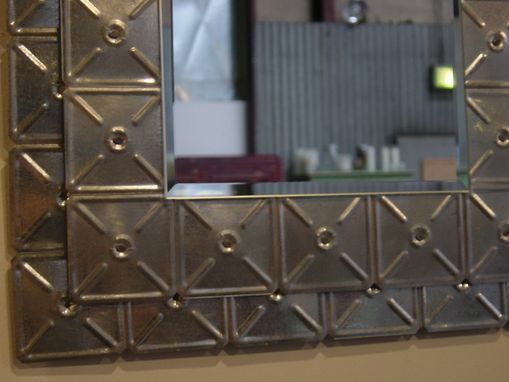 Blue-Hued, Steel Tacks are used to add some cool distinction.